I know not every target of a sociopath is a shy person, but I definitely am. I have always been painfully shy, extremely introverted, very quiet, docile and conscientious. I’ve also always been very considerate of others to the point that I put them ahead of myself. No wonder the sociopath honed in on me! I looked like an easy person to abuse. 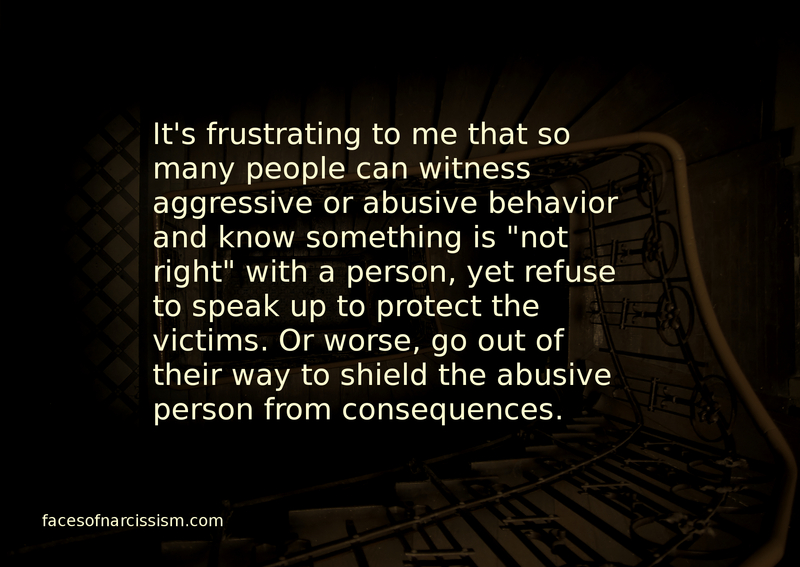 He was angry to find out that just because I was shy and quiet and giving didn’t mean I was willing to put up with being treated horribly by a raging maniac. I also happen to be thinking most of the time I am being quiet. I was very aware that something was seriously wrong with him, and I was willing to put my finger on it and point it out. He crossed a woman with a graduate degree studying English and psychology! Of course, that makes a narcopath go insane. When narcopath started the smear campaign against me, it was easy for him. He’s very outgoing, good at putting on an act, and always hangs around social events. People knew me more as someone who was fairly quiet and only had a few close friends. I was “weird.” I was “nerdy.” I was shy and didn’t really give people a way to know me. So, when the sociopath started telling lies about me, it was like junior high bullying all over again. The shy kid that no one really pays attention to. It’s easy to spread rumors about a person that most people don’t know. It’s easy for the popular mean kid to be dominant and get people to listen to him. I have an adult friend who has Aspergers Syndrome, (now just called Autism,) and she pointed this out to me. She was telling me about a court case where she sued a client who refused to pay her, and even though she was entirely in the right, she lost the case. My friend pointed out that when you are shy, quiet, weird, and nerdy, you don’t make sense to “neuro-typical” outgoing, popular people. It really is just like school. As she pointed out, it is easier for average extroverted people to relate to someone who is visible, loud, charming, outgoing, and out there in society spending time with people no matter how superficial they are. To those people, they view someone like that as good, normal, and friendly. The quiet girl who seems a little skittish around people is obviously the oddball to them. Even though not every person abused by a sociopath is like me, she had a good point. After the abuse, I stayed home and took care of my family. I was hesitant to have anything to do with people who knew the sociopath. That led his enablers to call me the sociopath since I was blocking and avoiding people in high numbers. 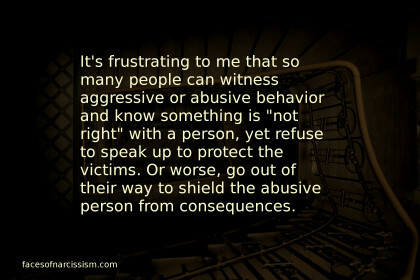 The abuser was out there acting normal and appearing normal to anyone who didn’t bother to consider his actions. I don’t like small talk, superficial conversations, or putting on a show. I’m not a social butterfly and I never will be. To them, I’m the weirdo who doesn’t hang out and have fun with them while the abuser does. Many sociopaths are outgoing and superficially friendly and jovial. They have to be to meet new victims. To someone who isn’t being astute and doesn’t know what to look for, the sociopath is the one who looks friendly and normal.